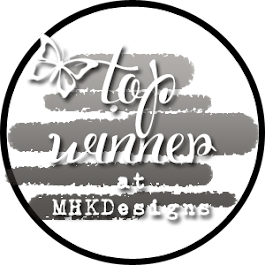 Creations by AR Blog Hop Winners!!! 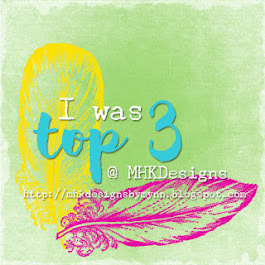 Thank you to all who visited during the blog hop for Creations by AR. I certainly work with some awesome and creative designers! Congratulations to Olga and Bethany Have fun creating! Ladies, please email Adela - be sure to tell her which of the templates that you won. Now then.....if you did not win, I'm going to put up a bit of blog candy this weekend for my faithful followers. I appreciate you all! I realized that I have posted over 700 blog posts, and many of you have read most of them! Thank you for following, and tune in this weekend!!! Good morning, and thanks for dropping by to hop with us! As always, there will be prizes. 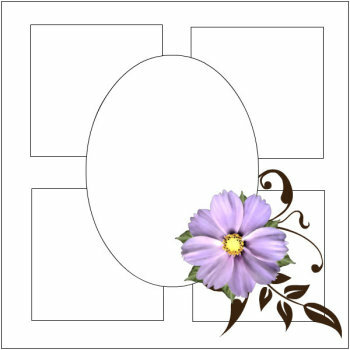 There will be two winners per blog - each winner will receive one of the new templates. How do you win? Very simple - leave a comment at each blog! That's it! Winners will be posted on Friday. If you get lost, the blog roster is below! First up is the Birdhouse Topiary. Oh my goodness - what a fun project! As you know, I do not have a cutting machine, so all cutting is done by hand. There were a lot of pieces, but the directions were concise, and the pieces were well marked. I had no trouble figuring it out! As you can see by the photos, you can display the entire piece as one, or you can set the birdhouse next to the base, which you can fill with candy, money, etc. CS: a muse, Butterfly punch: Martha Stewart, Flowers on base & sign on house: computer generated. Butterfly bodies and sign 'hanger' were drawn with zig pen. Next, we'll move on to the Grad Cap. This was easy peasy! Three pieces - the box (which can be used alone), the cap top, and the sentiment piece. 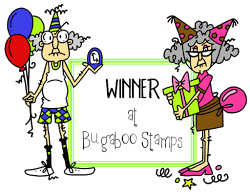 The Congratulations stamp is a Michael's $1 bin stamp, and the scroll is from a Doodle Pantry digi image set. Thanks so much for stopping by! You can purchase both of these templates at Creations by AR. Now, hop on over to Sue's Stamping Stuff to see her gorgeous creations! Be sure to stop back on Friday to see if you are one of two lucky winners on my blog!!! Hello! I'm here to review a new product today! For years, I have struggled with one paper cutter after another, trying to find one that cuts truly straight lines. I love to use layers of beautiful cardstock on my cards, but couldn't seem to get them just right. Then I tried Perfect Layers Tools. How exciting! Each side of the tool has a small lip, or edge on it, and each of those edges is a different measurement - 1/16", 3/16", 5/16", 1/8", 1/4", 3/8", 5/8", 3/4", and 1". These fabulous tools are clear, so you can see through them. Whenever you are ready to layer, you don't even have to measure - just put the edge up to your cardstock and cut! I cut a rectangle from red cardstock, and adhered it to a large scrap of white. I trimmed the white cs, using the 3/16" edge. The red and white pieces were then adhered to a scrap of blue, which was trimmed using the 5/16" edge. The purple, and final mat was trimmed using the 1" edge. Voila! As you can see, I tried cutting with both a Wal-Mart X-acto knife, and a very nice Fiskar's rotary cutter. Both worked beautifully. A nice clean cut, every time! And SO easy to take along to crops and workshops! Now, let me show you these tools used on real projects. Create with TLC offered this sentiment as a free digi over the weekend. I though it was a perfect fit for this Rubbernecker image, "Ethel Leotard". So, I printed up and colored a few, and experimented with them! Both cards shown above feature the 3/16" tool. I'm entering this in the Outlawz Sunday CAS "Anything Goes" Challenge. Green card features 1/8" and Purple card features 1/16" tool. Phoebe, from yesterday's post is matted using the 1/4" tool. You can check out THIS LINK to view a video, and to purchase your own Perfect Layers Tools! Be sure to use the promo code gilliam5% at checkout to save 5% on your purchase! If you have any questions, please feel free to ask in the comment section. or email me directly! Please remember to use the code above if you purchase - it will save you some money, and I'll get an itty bitty credit too! Have a wonderful week - take care! Phoebe is an Impression Obsession stamp set (CS371) created by Claudia Tenorio-Pearl. Isn't she adorable? Phoebe is colored with Copic markers on X-Press It Blending cardstock. The mat is a scrap of red, and the card base is Bazzill Basics. Doodles were done with a black Zig pen. Phoebe's ruffle and wings are colored with a clear Spica glitter pen. Easy, peasy card! I'm entering this in the challenge at Impression-Obsession's blog. The theme is 'Flower Power' (floral), and this little sweetie has a full bouquet! I hope to be back tomorrow with a set of totally fun cards, and a new product review! Hope to see you here - I think you will love this new product. I do! Also, April 25th will be the New Release Day for Creations by AR. Be sure to stop by and leave a comment - as always, there will be prizes! And wait until you see Adela's newest designs! Thanks for stopping by. Have a great evening, and hope your upcoming week is wonderful. Food for thought: The happiest people don't always have the best of everything. They do, however, make the best of everything they have. So, just for the record, I one-hundred percent dislike the new blogger format. I woke up this morning to a totally changed appearance, and although I have TRIED to find something good about it, I can't. Whew...thanks for letting me get that off my chest. Would love to know what you think of it! I decided to try the Wednesday sketch at the Outlawz sketch challenge again, and wanted a simple card for mailing. Oh, how I love to color. It's always fun to get one of the little girlie images out and waste lots of time with markers or colored pencils :) Today's card uses a C.C. Designs Swiss Pixies image, called 'Camera Birgitta'. Supplies: Cardstock (unknown), White cardstock (XpressIt Blending), Copic Markers, Pearl Flowers from Michael's $1 bin, Oval Spellbinder's Large, Glossy Accents for glasses and camera lens, DP: My Mind's Eye "Miss Caroline". 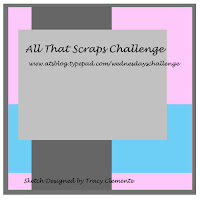 I'll be entering this card in the Wednesday Challenge at All That Scraps: Anything Goes. Sure hope your week has gone well, and that you have a nice relaxing weekend in store. I think we do! Thanks for stopping by - be sure and put April 25th on your calendars! Creations by AR gals are having a blog hop to showcase two fabulous new templates by Adela - hope to see you here. There will be prizes, as always! Gosh, it's Wednesday already. How did that happen? Speaking of happenings, isn't it funny sometimes, how things seem to happen for a reason? Last week on a shopping outing, I saw the most darling little black party dress. Black and white polka dots (tiny ones), with lots of pearly trimwork, and this fabulous tulle trimmed waistline. This week, when CardMaker's Card Challenge Corner posted their challenge, it was "The Little Black Dress". Coincidence? Perhaps...perhaps not! Those of you that know me well, know that my 'little black dress' days are over! So, this was the perfect opportunity for me to design my own, and not worry about the fit :) The template is from Creations by AR, and the adorable CS that I bought from my friend, Shirley, is a muse. Just what the doc ordered! The pearls were some leftovers from a Kaiser Crafts package, and the tulle was a scrap in my ribbon drawer. Voila! Used some liquid pearls to outline the areas where the pearls were going. Hope this little fashion statement gives you a smile this morning. Thanks so much for stopping by, and for your patience while family took priority! Looking for a retired stamp set! While we had such a nice (too short) visit, DD's race was not as good as she'd hoped. The weather was horrible - high winds, humidity, dust, pollen, etc., in the air, running against the wind, and an injured IT band (apparently goes from the hip to the knee on the outside of the leg). Delayed flight out last night got her home near midnight, instead of 8 or 9, and she had a terrible time finding something to eat with her newly diagnosed soy allergy!!! If any of you have any great soy-free recipes, please share! Other than that, it was a great weekend :) Hope yours was, as well! 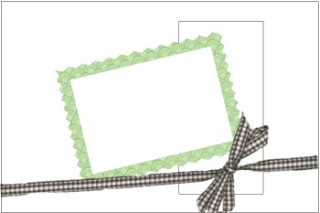 I have a friend that is in need of a retired Stampin' Up! stamp set. I'm hoping that someone out there will have it. Her son is getting married, and they would like the set "Compliments to the Chef" for their invites, favors, etc. If any of you have it, my friend is willing to purchase it, borrow it, etc. Let me know, and I'll hook you up with her email address! EDITED: YAY! I have the smartest, best, blogging friends in the world - we have found the stamps! Thanks Shirley - you rock!!! EDITED AGAIN.....The set that Shirley found was sold, so we are once again looking!!! Please let me know if you have this set and would want to sell or loan it out for a while :) Thanks! Goodness, it's Thursday! Woot woot! DD is flying in tomorrow afternoon for the weekend. We are so excited! She's coming in to run the Go St. Louis Half-Marathon on Sunday, and will fly home later that day, but a short visit is better than no visit! I will more than likely be MIA for the weekend...you all understand! Short post today! There's a new artist in town. His name is Robert Jackson, and he's one amazing artist! I was lucky enough to win one of his images last week, so I'm entering it into his very first challenge at Jackson's Digital Expressions. Hope you like it! The sentiment is from Great Impressions. I've had it for a long time, and it's a go-to for me! I really wanted to make this card CAS in order to show off the artist's beautiful creation! Image: Fine Arts by Robert Jackson, DP: My Mind's Eye "Miss Caroline", Copic Markers, Sharpie Pen, EK Success Zig-Zag Punch, Bazzill Basics CS, X-Press It Blending CS. I hope that you will stop in and check out his fabulous work! I'm also entering this card in the challenge at Oozak.com! Thanks for stopping by! I wish you well this weekend. If I don't see you again before, I will see you on Monday! So, have you all heard about the new challenge blog in town? It's called "A Blog Named Hero", and it's for all things Hero Arts. The card I'm sharing this evening is for their first challenge, "Play Favorites". We are supposed to create using our favorite Hero Arts stamps. Egads. Hero Arts "Outline Flowers, So Sorry, Misc. Tim Holtz Distress Inks, Tsukineko Sponge Daubers, Stampendous White Embossing Powder, Versamark Ink, Bazzill CS, Gina K. Designs Pure Luxury White CS. Really? Choose a fave? Couldn't do it! I love ALL of my stamps, and choosing faves is like being asked to choose a favorite child...lol. So, instead, I chose to use the first Hero Arts stamp that I ever owned. I'd only been blogging a short time, still new to challenges, and I won this stamp as blog candy! The sentiment is from a 'go to' set, called So Sorry that, sadly, I use a lot. I wanted this to be relatively flat for mailing, and a definite CAS card, so I heat embossed the image with white embossing powder, sponged in some color, and added a sentiment. No fru-fru today. This is for a friend, who I just learned has stage 3 lung cancer, non-small cell. Didn't want a lot of happy 'stuff' - just wanted her to know she's loved. Thirty nine years ago today, DH and I were Goin' to the Chapel, and we were Gonna Get Married... now I have you ALL singing, right? Good! Singing is good for the soul, as is having spent the last 39 years with my best friend. Anyway, we do have an anniversary today, so this will be another short post. Hope that you are all enjoying some blessings this weekend as well! 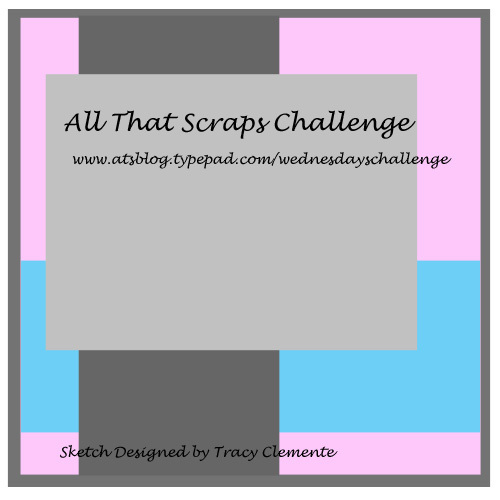 I have a card to share today for the Timeless Tuesday challenge #163, at Flourishes. Again, I've improvised, as I don't have any Happy Birthday themed Flourishes stamps! I did, however, have a gorgeous set of stamps, "I Love Roses", and a wonderful paper pad from Simple Stories, "Happy Day". If you look closely, I used a border from the paper pack for my birthday sentiment! Color, cut, paste, Voila! Have a great weekend! We start the day out at 6:30 a.m. Sunrise service, so if I don't see you tomorrow, Happy Easter, as well! Short post today - DH and I are having a DATE!!! Woot woot! Today's card features a stamp set "Signs of Spring" from Flourishes. I created this for the 'Bring Back Beautiful' challenge at Flourishes. The theme is "The Beauty of Friendship". I'm also entering this at the Twisted Tuesday Challenges - the challenge is to use non-stamped cloud(s) and this cloud fits - it's a die! Good morning! I'm locking myself in my girl cave for the day, and working on getting out some cards to some special people. This card is for a sweet couple from church. She had knee replacement surgery this week, and he has trouble getting around at all anymore. They are on my mind, so Emma is going to pay them a visit, and hopefully let them know they are in our thoughts and prayers. This needed to be very CAS, so I decided to follow the sketch at All That Scraps. As always, I had to turn the sketch! The card base is another of the packaged set that I got free last month with my a*muse order. How cool is that? The other dotted piece is also from a*muse - the color is Bermuda. So pretty! The stamp is C.C. Designs Sugarplums Easter Emma. The sentiment is an Amy R. sentiment, also from C.C. Designs. All coloring is done with copics. The striped piece, and solid mat around the image are from Echo Park's 'Summer Days' collection. I will be entering this card in the Wednesday Challenge at All That Scraps. 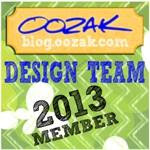 I'm also entering this in the new challenge at Oozak - Anything Goes. If you haven't ever been to Oozak, it's well worth your time to visit. And how much fun that they have their own challenge now! I hope that you all have a wonderful weekend in store. Church service on Sunday will be a 6:00 a.m. sunrise service on a lake - it's always a blessing! We have a shopping trip planned tomorrow - DH needs some new work duds. Don't know if we'll stay in town and do everything at JCP, or if we will move on... anyway, if I don't get back, have a wonderful Good Friday - hope you are blessed beyond measure! Just a very quick post - promised you a pretty share today...here it is! Thanks again for all your well wishes! Back tomorrow - business as usual. Lol...one would think they've won the lottery, looking at that Blog Title! First, I want to wish my very good friend, and birthday twin a Happy Birthday today! Dawn Lotharius is one of the kindest, sweetest, most sincere folks I've met out here in blogland, and we have shared a birthday the last few years! 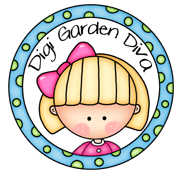 By the way, Dawn has some absolutely FABULOUS blog candy on her blog, so be sure to head over there and comment for a chance to win. Next, thank you ALL for so many sweet wishes today! I have found wishes every place I've 'traveled' this morning in blogland, as well as Facebook, email, and the sites that I belong to. You are all so kind, and I'm so blessed. Now, onto my winner! 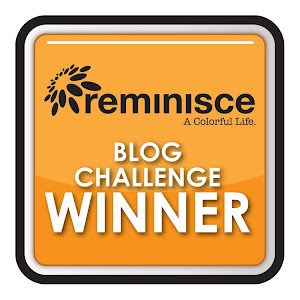 The winner of the Tim Holtz Ink Pad is Regena! I'll get your giftie right out to you! Good morning, and Happy Sunday. Our weekend was nice and quiet - got to visit with my friend Shirley at her a*muse open house on Saturday, and we had a very nice Palm Sunday service in church today. The weather has been gorgeous. DD made it to DC, ran and finished the Cherry Blossom half-marathon, and made great time. Nick's sis and her hubby, and Nick's parents and DD all met there, and they all ran the race. Ha ha...you won't ever hear 'all ran the race' when talking about her trips home! I'm proud of them all!!! Today's card features my first ever Little Darlings stamp, "Nice to Meet You". Is he not the sweetest guy ever? I see a few more Little Darlings in my future :) Don't faint, but peeps, this is a CAS card! Yup. CAS! If you haven't heard, Oozak.com has started a new challenge blog. The first challenge began today, and is an easy one - Anything Goes....so hurry over, sign up to follow, and enter their challenge! Thanks for stopping by - I'll be back on Tuesday with my Itty Bitty Candy Winner! Food for thought: I've never been hurt by anything I didn't say.